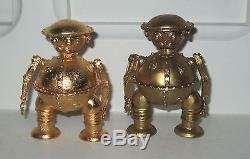 Up for sale is a metal Tik-Tok given to only cast & Crew members who worked on the film Return to Oz. I have included 2 photos for reference. 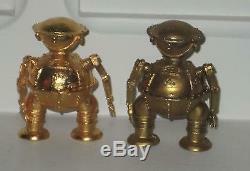 The tik-tok on the right is the real crew gift, while the one on the left was the re-cast. The re-cast is almost a golden color. It is very rare indeed to get the real thing given to a cast & crew member after filming! 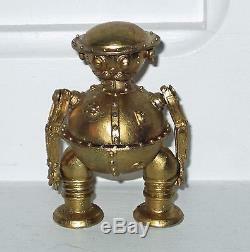 The item "Return to oz Metal Cast & Crew Gift Tik-Tok REAL Walt Disney Robot Wizard of" is in sale since Wednesday, May 10, 2017. 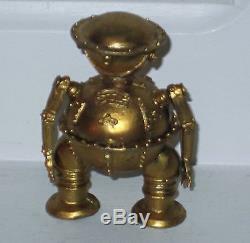 This item is in the category "Entertainment Memorabilia\Movie Memorabilia\Props\Originals". The seller is "returnto0z" and is located in Rock Island, Illinois.